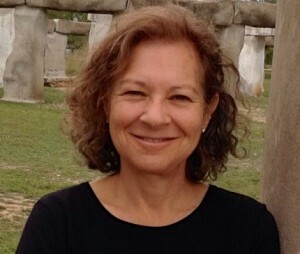 Riva Greenberg is an author and patient advocate living with type 1 diabetes for over 40 years. I recently spoke to her about her research into flourishing with diabetes. 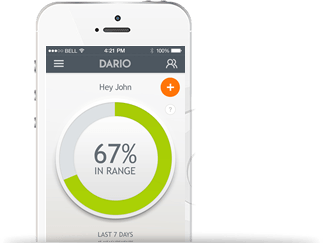 As our Dario™ tagline is Thriving with Diabetes, Together, this resonates closely with our mission. 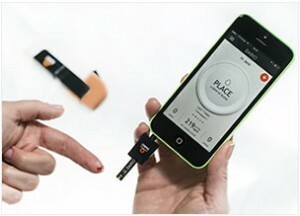 We want to transform the humble glucose meter into something more. What’s the difference between coping with diabetes and flourishing with diabetes? Coping and flourishing are two different orientations for living with diabetes. Coping depicts struggle, you are fighting to come up to what society calls “normal.” A coping orientation is problem-focused, paying most attention to what’s not working. Flourishing, conversely, is solution-focused. It’s looking at what is working and building on that. Flourishing says wherever you are – hope and possibilities are before you. I’ve talked to hundreds of people with diabetes who are flourishing, who have full, robust, healthy, happy, meaningful lives – often because of diabetes. Their diabetes motivated them to take better care of themselves and reshape their priorities. In the language of chronic illness we are so used to hearing the word coping, that we don’t stop to think about its connotation. But, notice, your body has a different physiological response to both words. Say “coping” and you feel tense. Say “flourishing” and you feel relaxed and energetic. For those who are deeply immersed in a coping mindset, how do you break through to a flourishing one? It begins by shifting your focus from what’s not working in your management to what is. Pause to notice and acknowledge what you’re doing well. Take it in and feel good about yourself. Also hold a vision of how you’d like your life to be. Holding a picture in your mind is very powerful. Your unconscious will begin to move you toward your picture through the choices and decisions you make and actions you take. And this doesn’t just apply to patients. This can help health care providers be more effective when they start from a flourishing approach? Most doctors work with people with diabetes from a coping orientation. It’s what they’ve been taught. They look at where we’re falling short and attempt to fix the problem. For instance, if you bring your logbook to your doctor and half your numbers are out of range that’s what he or she will notice. But they could equally notice that half your numbers are in range. That’s what they’d notice working from a flourishing approach. They’d congratulate you and then ask, “How did you do that?” with awe and appreciation. Then they’d help you figure out how you could do more of that. I think the first shock for health provider, when I teach them how to work from a Flourishing Approach, is how little they truly listen. Listening more and talking less is a key principle of the Flourishing Approach as are empathy, strength-building and collaboration. I like to say, “Rapport before Report.” See me before you dive into my numbers. While I know “patient-centered” is the buzzword in healthcare, the Flourishing Approach recognizes that there are two experts – the health care professional on the medical aspect of diabetes and the patient on his or her diabetes and life. Together, much more is possible. I also describe a visit with a health professional who’s using the Flourishing Approach as a “Happiness Intervention.” Wouldn’t you feel happy working with a health professional who is looking at what you’re doing well and congratulates you? Another benefit for health professionals? Patients want to please you, which means they do better, and they want to come back. Could you give an example of the inner thoughts of a flourishing mindset compared to a coping mindset in a “life with diabetes” type of situation? In a coping mindset I may spend a lot of time worried I’ll get complications. I think I don’t do anything right when it comes to my management. I beat myself up for getting high blood sugar numbers and it feels like diabetes runs my life. I often feel angry and resentful. From a flourishing mindset, I see a high blood sugar and wonder what happened without the self-recrimination. I’m also able to see something positive diabetes gives me. Personally, I know diabetes has made me healthier. It has given me great motivation to eat healthy, walk an hour a day and keep my weight down. It’s given me appreciation for all that I do have in my life. It’s given me great friends through this work and the joy of this work. Are these conscious decisions or an issue of innate temperament? I think they are both. Some people naturally have the capability to see the positive. They also feel, “I can do anything!” Others don’t come by that naturally, but they can be taught, coached and supported to shift their thinking. The adage is, “Practice makes perfect,” but a more apt expression might be, “Practice makes permanence.” What we practice becomes a new habit. Where can someone turn to get help with transforming their mindset? Like myself, a health coach who helps individuals shift to this perspective and work toward their personal goals, people can look for a coach, or a counselor if they’re having difficulty. If health professionals are interested to learn how to work from a flourishing approach, they can contact me. I give workshops across and outside of the country. I was just in Bangalore, India, teaching the health professionals at an amazing diabetes clinic the Flourishing Approach. There are also books in the positive psychology field on flourishing and positivity, and my own book, The ABCs Of Loving Yourself With Diabetes, is an empowering series of essays to strengthen one’s resilience and put flourishing into practice. I’d like to share two last thoughts. One, it’s simplistic, but by focusing on our successes we grow stronger and more successful. And two, attitude is contagious. Don’t surround yourself with people who are negative. They will bring you down. Find people who, as Pollyanna as it sounds, look for the good in life. That may just rub off on you. Riva is committed through her research, writing, workshops and lectures to help others live an exceptional life, not despite having diabetes but because of it, using diabetes as a catalyst to create a healthier, happier, more meaningful life. Riva is the author of three books on diabetes: an instruction book for managing diabetes, Diabetes Do’s & How-To’s, 50 Diabetes Myths That Can Ruin Your Life and the 50 Diabetes Truths That Can Save It and the primer for developing emotional strength and resilience, The ABCs Of Loving Yourself With Diabetes. She writes about her own experience on her blog Diabetes Stories.